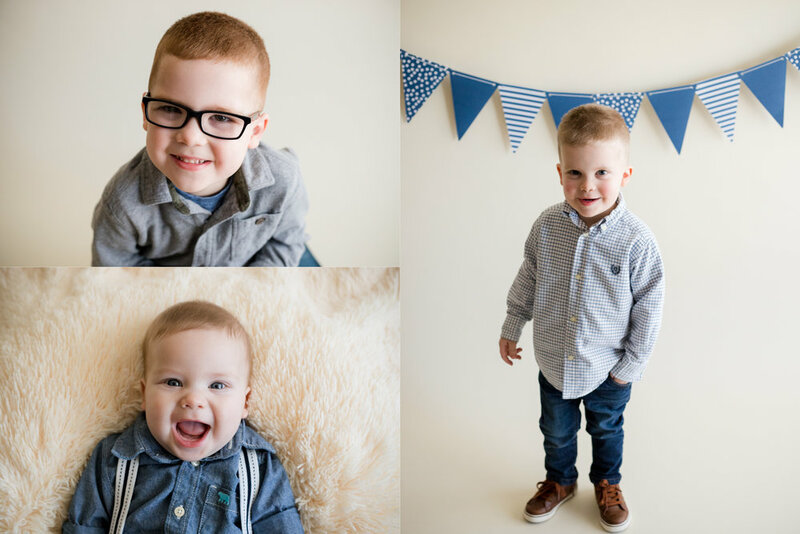 Vincent (5 years), James (3 years), and Rhett (4 months) visited me back in January (yes, I'm behind on blogging....again) and I had so much fun with them during their photo session. They listened to me so well and were not afraid to talk to me, especially about their interests. Vincent and James love the movie, Paddington 2 and told me all about some of the funny things Paddington Bear does throughout the movie: accidentally squirting ketchup across the room; flooding the bathroom; and getting pancakes stuck to his bottom. All of these incidents made them laugh as they recited them to me. It was so cute. Vincent and James are also into trains right now so his mother brought along some of their trains and train tracks to incorporate in a few of the photos. His mother told me Vincent loves to lay on the ground as he plays with his trains. 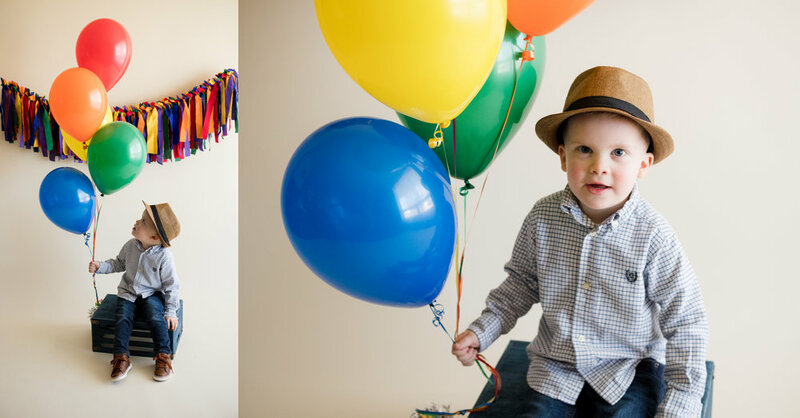 The boys also wanted balloons for their photos so their mother picked up a few colorful ones for the session. I loved the bright colors! Rhett is such a happy baby and will smile at anyone who speaks to him or smiles at him. And his older brothers can always get him to laugh. He is adorable!